NCHMCT JEE 2019 Admit Card – National Testing Agency (NTA) has released NCHMCT JEE Admit Card. The NCHMCET hall ticket has been issued at ntanchm.nic.in and the candidates can download it from the link below. 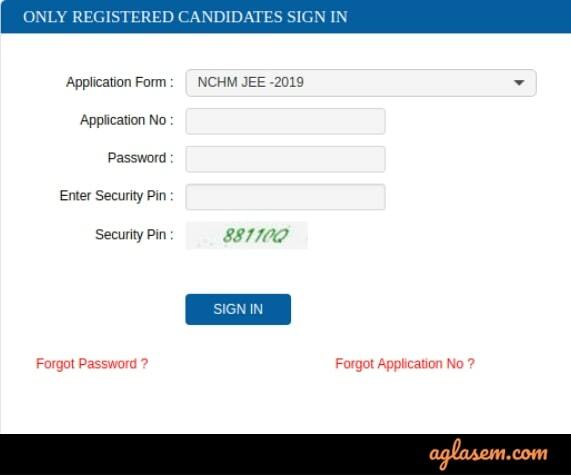 The application number and password is needed to download the NCHM JEE 2019 Admit Card. The admit card consist of registration details, important instructions, exam details such as date, timings, and address of the test center. The print copy of the NCHMCT JEE Admit Card 2019 has to be carried on the exam day, i.e. on April 27, 2019. 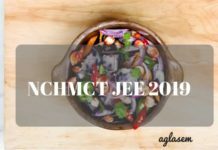 The candidates can check complete details about the NCHMCT JEE 2019 Admit Card from this page. 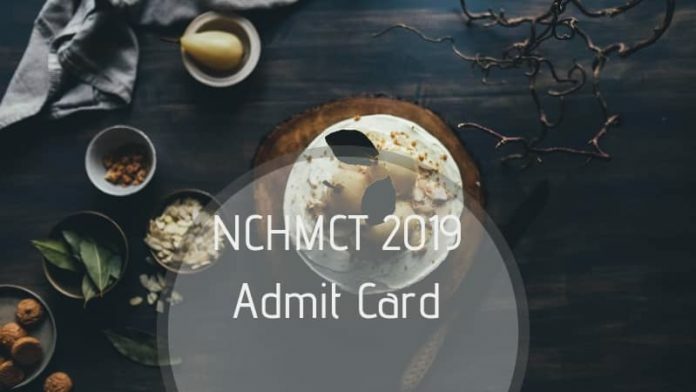 Latest: Admit Card for NCHMCT JEE 2019 is available now, download from below. Candidates must report at the allotted exam centre 2 hours before the commencement NCHMCT test. There is no entry in the exam hall/room after 09:00 a.m. You can check the schedule for issuance of NCHMCT JEE Admit Card 2019 from the table below. Click Here to download NCHMCT JEE Admit Card/ Hall Ticket 2019 through application number & date of birth. Click Here to download NCHMCT JEE Admit Card/ Hall Ticket 2019 through application number & password. Click here to check the above instructions in a new window. What to Do if You Forget NCHM JEE Application Number or Password? 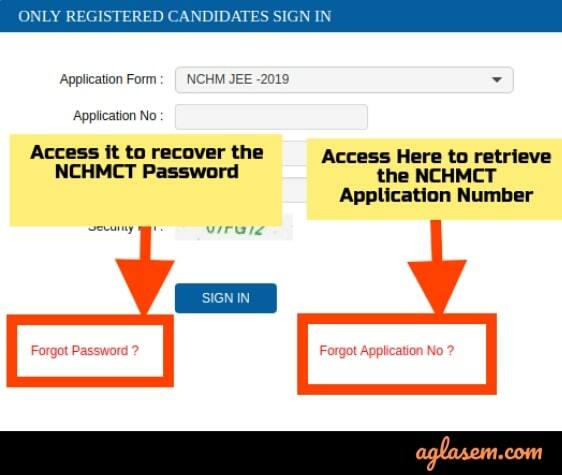 Candidates need an application number and password to access their NCHMCT JEE 2019 Admit Card. So, in case you have forgotten the login credentials, then you can access them using the simple steps given below. First, visit the official website and click on Login. In there, select the “Forget Application Number” option. Then in the new window, select Application Form Name ie NCHM JEE. Immediately more options will pop up. In there fill candidates’ name, father’s name, mother’s name, date of birth, and security pin. Last, click on “Get Application Number” to access it on registered email id. Visit the NTA NCHM website and click on Login. In there, access the option “Forget Password”. You can reset the password using any of the three options. First, is “use the security question and answer filled in the application form“. Next is “use the registered mobile number to get the verification code”. Third, is “reset link to be sent on registered email id”. Choosing any of the options will ask for your application number and date of birth. After getting the code or reset link, set the new password for the future login. What to do if there is an error in the NCHMCT 2019 Admit Card? In case of any mistake or wrong information found in the admit card candidate must immediately report it to the JEE CELL through email. Any error in the admit card found on the day of examination can put the candidate into trouble, as the admit card is one of the most important documents or identification proof. The admit card is must to be carried to the examination center without which no candidate can take entry in the exam hall. How to Download NCHMCT 2019 Admit Card? 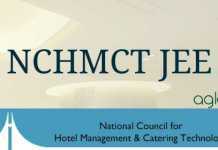 On the basis of the information provided by the candidate in the application form for NCHMCT JEE 2019, the exam conducting body publishes the Admit Card to the candidates. 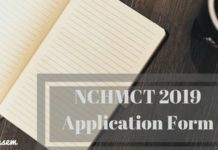 No printed admit card for NCHMCT JEE 2019 is sent to the candidates individually. The process to obtain the admit card online is listed down for candidates. Click on the direct link which is available on this page for downloading the admit card. Next, you need to enter details such as application Number and password/ date of birth. Click on the “Submit” button to download the NCHMCT JEE 2019 Admit Card. Download and take its print out to bring the same to the test center. Signature of candidate: Check for the clear image of the scanned signature. Candidates must bring the following documents on the day of examination at the test centre. Make sure to have these documents on your exam day kit. 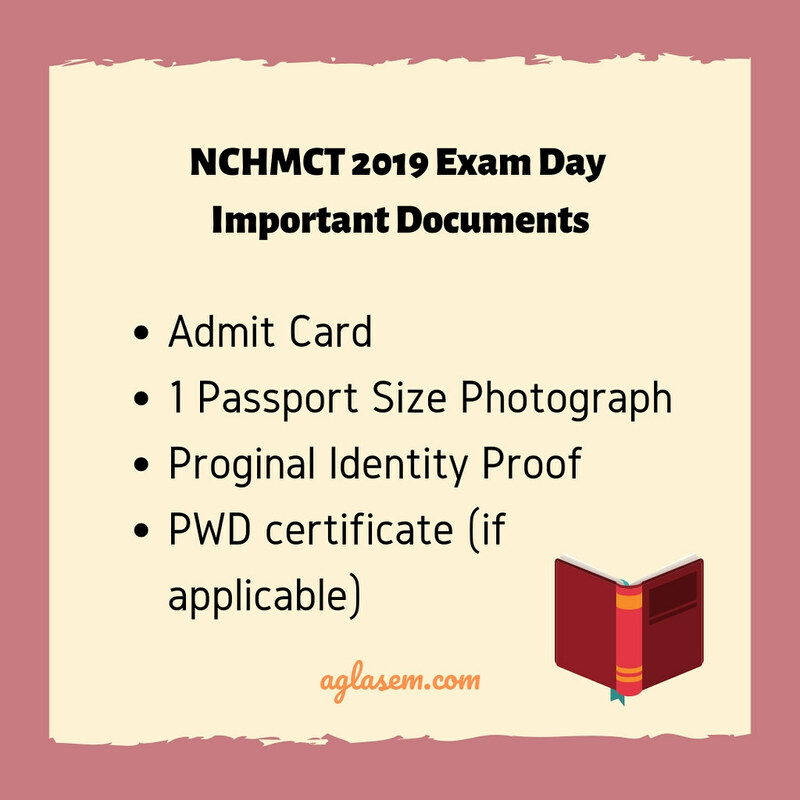 A copy of NCHM JEE 2019 Admit Card – Candidates must carry a printed copy of admit card on the A-4 Size paper. The colored print out is preferable. Also, download the hall ticket from the NTA website only. 1 Passport Size Photograph – You must carry a photograph as same as uploaded in the registration form. Valid ID Proof – Test takers must get one of the authorized photo ID proof. It must be original, valid and non-expired. The valid ID proofs are PAN card, Driving License, Voter ID, Passport, Aadhaar Card (With photograph), Ration Card or Student ID. PwD certificate – If applicable, students must carry a PwD certificate issued by the authorized medical officer. Immediately after downloading the NCHMCT JEE 2019 Admit Card, candidates must read all the important instructions. As any violation of rules can lead to the inconvenience on the exam day. Candidates must reach the exam centre at 07:30 AM. There is no entry after 9 in the morning. The exam will conduct between 09:30 AM to 12:30 PM. Registration will close 60 minutes before the starting of the exam. Candidates must produce all the documents during the verification process. Please co-operate during the frisking and registration formalities. Students must paste the photograph on the specific space in the attendance sheet at Centre. Candidates must not carry these items in the exam hall ie Geometry, Pencil box, Handbag, Purse, Any kind of Paper, Stationery, Textual material (printed or written material), Eatables and Water (loose or packed), Mobile Phone, Ear Phone, Microphone, Pager, Calculator, Camera, Tape Recorder, any metallic item or electronic gadgets etc. Candidates will get the rough paper and pen to solve the questions. You cannot any other piece of paper to do the same. You must sit at your allocated computer terminal only. Students must maintain silence. Any disturbance, conversation, gesture, copying will record as misbehavior. Candidate must leave the rough papers at the desk. Also, keep the admit card safe for the future process. You will need it during counselling or admission process. The NCHMCT 2019 examination has been changed from the Pen-paper based to the Computer-based test. Candidates applying for the examination must know the pattern of examination in which they can prepare and expect a better score and more chances to get selected. Click Here to check NCHMCT Sample Papers. The marking scheme is one of the major factors that affect the score of a candidate. Knowing the marking makes it easy for candidates to answer the questions. The marking scheme for NCHMCT 2019 given below. In the exam, +4 mark is there for each correct answer. Whereas 1 mark deducts for every incorrect answer. For each Unanswered/Marked for Review answer no marks are deducted or awarded. NTA is publishing the NCHMCT 2019 Result on May 15, 2019. The agency does not provide result by post. Also, do not give any provision for rechecking/ reevaluation. The result gets finalize according to the final answer key. Only the raw score of the students are considered to make the final result. On the basis of these scores, candidates can take admission to the hotel management course from the Institutes of Hotel Management (IHM). NTA does not keep a record of the total number of seats neither responsible for the admission process of each. Q. Will I get the admit card by post? A. No, there is no provision to get the admit card by post or mail. Q. Should I carry the colored copy of the admit card? A. It is preferable if you carry the colored copy of the hall ticket. It helps the invigilator to check the identity easily. Q. Can I carry a photocopy of the Id proofs? A. No, you must carry original ID proof only. Q. Is there negative marking in NCHM exam? A. Yes, for every incorrect answer, 1 mark will be deducted. Q. What is the last date to download the admit card? A. You can access the hall ticket until the date of the examination. However, NTA does keep the admit card window open even after the completion of the exam. Still, be cautious and download the admit card ASAP and keep it copies with you as well. If you have any question about the NCHMCT JEE 2019 Admit Card, then let us know in the comment section below. How to confirm the exam center which we have already selected? You need to download the admit card and attend the exam that it. try after some time as the server may be down. Admit card option has not been shown on my profile. What should I do?